Another test of strength for the four teams that have won the 1st leg. 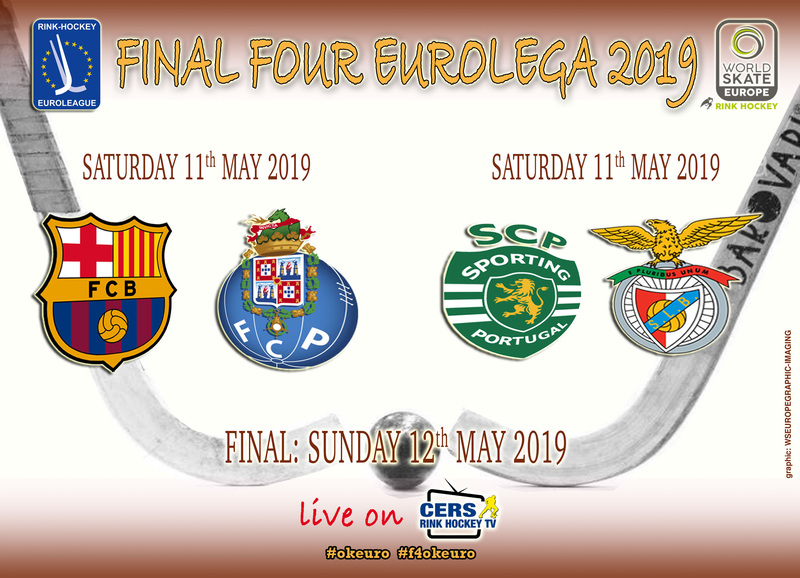 All the four teams win again today and qualified to Euroleague Final Four (May 11 & 12, 2019): the semifinal will be FC Barcelona against FC Porto (the latest final of Euroleague, Continental Cup and Intercontinental Cup), and the Lisbon’s derby Sporting CP against SL Benfica. The host city will be determined in the coming weeks. Sporting wins for 8-2 against Lodi and Barcelona defeats Noia for 7-0. Forte dei marmi defeated for 3-2 from Porto and Benfica confirms the best play in the 1st leg, winning again for 3-1 against Oliveirense, in the most exciting game of the night.